Ecologists and managers of natural resources readily acknowledge the importance of long-term studies and monitoring for improved understanding and management of complex environmental systems. Long-term data are crucially important for providing baselines for evaluating environmental change. They are also fundamental for detecting and evaluating changes in ecosystem structure and function, and for evaluating response to disturbances such as climate change or pollution. Countless scientific articles, books, management plans and other documents have been written about the need to conduct long-term studies and monitoring. However, although there have undoubtedly been some highly successful long-term ecological studies and monitoring programs, there is a history of poorly planned and unfocused efforts that are either ineffective or fail completely. In this book, the authors outline some of the key pitfalls and deficiencies in ecological monitoring programs and long-term studies. They then describe some the features of monitoring programs and long-term studies that are essential to make them viable, using case studies such as those of Rothamsted (UK) and the Hubbard Brook Ecosystem Study (USA). 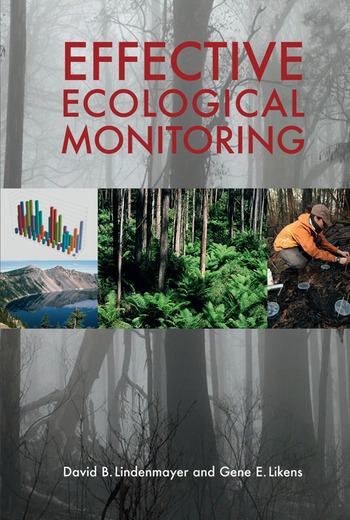 Based upon their collective experience spanning 70 years in establishing long-term studies and natural resource monitoring programs, the authors propose a new approach, which they call Adaptive Monitoring, to resolve some of these problems underlying poorly planned and unfocused monitoring programs. David B. Lindenmayer is a Research Professor at The Australian National University in Canberra. He has published more than 20 books and over 500 scientific articles in international journals. Gene E. Likens is an ecologist best known for discovering acid rain in North America, for co-founding the Hubbard Brook Ecosystem Study and the Institute of Ecosystem Studies in Millbrook, New York. He holds faculty positions at Yale, Cornell and Rutgers Universities, State University of New York at Albany, and University of Connecticut and was awarded the 2001 National Medal of Science. He is the author, co-author or editor of 29 books and over 580 scientific papers and articles.